This is a weekly 45 minute to 1 hour session of a complete layout of equipment in the form of Axial, Locomotor and Coordination Activity Stations. Layouts are changed progressively every 2 weeks to meet the children’s improving skills and capabilities. GymKidz strives to meet the different needs of each school in terms of time and space by also offering a 30 minutes Modified Plus Programme. These stickers are given so as to acknowledge the effort shown by the children and to affirm their achievements after every GymKidz session. This helps to instil Self-Confidence, Self-Achievement and to reinforce the “I Can” mentality in every child. The GymKidz programme is a structured curriculum, with thematic-based lesson plans carefully written for the various age groups. Hence, the GymKidz programme can be integrated seamlessly into the school’s core curriculum. Parents will receive monthly Programme Objectives which will inform them of what their child is learning during GymKidz sessions. Termly Progress Reports are also provided for every child, so that parents know how their child has progressed through the programme. GymKidz Team leader and staff are very kind and reliable. They are able to take good care of the children in MMI. Thumbs up for them! Most importantly, children enjoy and confidence built. Overall, the children always look forward to each class and are very happy to have gym class every week. They enjoy the classes very much. Like it that the facilitators are always polite and smiley. Even the driver is helpful. You have very good staff leaders. Responsible and effective. Stations are well set-up for various activity objectives. Appreciate the consistency of programme. Thank you! 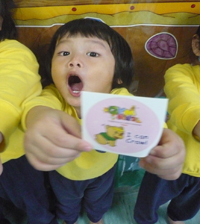 Activities prepared and done for children are really useful and helpful for their development. 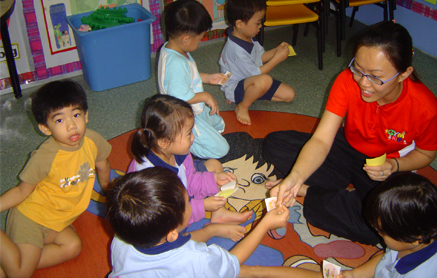 Staff are friendly to the children as well as to the teachers in the centre. They come on time and finish on time. Our holistic and powerful physical DEVELOPMENT programme is progressive in nature where our children will progress from one stage to the next, learning new skills and building on previous skills learnt. The GymKidz programme ensures our children experience success and growth at every stage and are confident enough to progress to the next. This helps to build our children’s SELF-ESTEEM, SELF-CONFIDENCE, as well as SELF-WORTH. GymKidz places huge emphasis on Character Development including Socio-Emotional Learning (SEL) to hone every child into a better person inside and out. This means that through our GymKidz sessions, children will have many opportunities to pick up important values and social skills. Our children will be equipped with soft skills that will put them in good stead for the challenging future. Older children (above 4 years old) are inculcated with leadership skills. Every child will get the opportunity to be a Team Leader; take part in team relays and group games. This exposes children to the notion of teamwork and cooperation. Through reflective thinking, they pick up values and soft skills including empathy, etiquette, compassion and organizational skills. 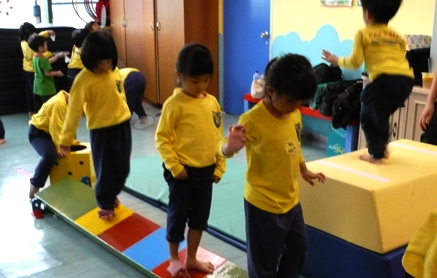 GymKidz sessions will expose our children to 3 different stations: LOCOMOTOR, AXIAL and COORDINATION. Each station works on different skills sets as well as different parts of their bodies. Trainers will initiate fun, age-appropriate activities and exciting success-guaranteed tasks. Children will get to work with a variety of apparatus such as balls, hoops, bean bags, lummi sticks, specially designed hockey sticks, badminton racquets, etc. GymKidz is based on a structured curriculum framework with well thought out lesson plans carefully overseeing the abilities, capabilities, potential and progress of each child in accordance with his developmental milestones. Lesson plans are regularly revised to ensure that GymKidz stays current with the times and continues to engage children from the ages of 9 months to 9 years. Parents will receive monthly learning objectives which will clearly state what their children will be learning in that month and they will be able to see the progressive nature of the lessons. After every term, an evaluation report will be done for every child in our programme. Parents will thus be able to see how their child has progressed from term to term. Our staff are also more than happy to share more information with parents through platforms such as Parent-Teacher conferences as well as Open Houses. All GymKidz equipment and other materials used in the programme are made from high quality wood and foam, specifically designed to accommodate a child’s weight, size, body contours and features. All our equipment is modular so that they can be configured into a myriad of stations and activities. This allows them to fulfill different learning objectives and are customisable according to the different age groups. Thus guaranteeing a different learning experience every time. All GymKidz equipment is designed with our children’s safety in mind. Strong plastics prevents rupture of our foam equipment. The surfacing of our foam equipment provides excellent traction without being rough enough to cause friction burns. All wooden equipment lack sharp edges and sport protectors around all edges to reduce blunt impact. Furthermore our maintenance staff work diligently to ensure no splinters or rust mars our equipment. Each session provides a sufficient number of trained GymKidz staff stationed at specific locations within the entire gym area to give proper assistance, body support, guidance and continuous encouragement to the children. Therefore, safety is guaranteed and is one of our trainer’s key responsibilities. Safety of the children does not become solely the responsibility of the parents. Parents are not required to be in the session with the children as we believe in cultivating independence. This also allows children to fully express themselves during sessions. Each GymKidz staff is equipped, trained and qualified in basic first-line “FIRST AID for Infants and Childcare” to prepare them for any first aid emergency. This first aid knowledge also trains the staff to anticipate any hazardous situations before accidents happen. Each GymKidz staff goes through a rigorous and structured, training programme which includes familiarising themselves with Standard Operating Procedures, child development theories and practical skills. This training programme, helmed by GymKidz Master Trainers from Singapore, ensures that only staff who have been certified are allowed to carry out the programme in schools. The competency of our staff is an area that we do not compromise on. Only well-trained and highly motivated staff are allowed to work with your children under the supervision of Team Leaders with years of experience and proven ability.